Wade, at right, lands on Soliman. Last Friday night at the Little Creek Casino in Shelton, Washington, unbeaten Middleweight prospect Dominic Wade defeated former World Middleweight title holder Sam “King” Soliman via a close ten round split decision in a match-up that had major implications for the careers of both fighters. 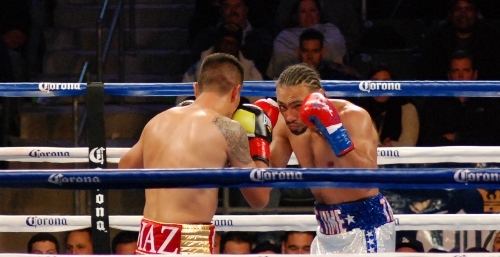 Headlining the TGB Prmotions, Showtime televised Shobox , Wade overcame the biggest challenge of his career in the tough and cagey Soliman, narrowly claiming the win. October 16, 2010 — Many boxers have not been able to simply say no and Antonio Tarver quest for Heavyweight glory is just another example of a fighter who can’t say no. 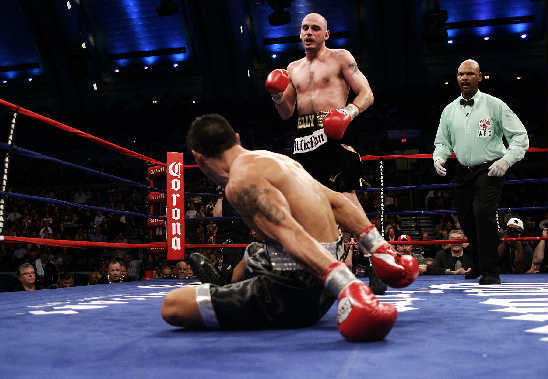 Tarver was one of the better light heavyweights over the past decade but at 42, he left the safety of the Showtime booth to participate in SHOBOX main event, his virgin ride into the heavyweight division against Nagy Aguilera.